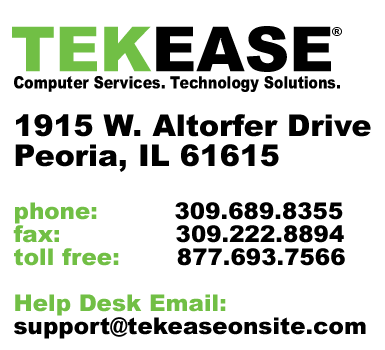 TEKEASE provides end-to-end healthcare IT support services. This means we can handle your voice, video, data, network and applications for you. With our Total Care Services Agreement for Health Care you will experience expert IT services as if you had your own in-house IT staff for about one tenth the cost. You have the flexibility to “Step-Up” services as your needs change and grow. This will allow you to start with a complete Managed Service Solution and expand services when you need to. We can host and manage your entire IT infrastructure, including desktops, servers, networks and more. DK Desktop – A secure, affordable, trouble-free alternative to purchasing, managing and maintaining desktop equipment. Many of the services included in Total Care Service Agreement are available a la carte. A TEKEASE solutions consultant will work closely with you to make sure your specific business requirements are met. To get the IT support your business needs, trust TEKEASE to deliver flexible and simple solutions.